Mini Party Hat has a skinny elastic headband meant to be worn around the back of the head, behind the ears and not under the chin. Glitter is non shedding, no mess, no worry! We love to see your lil ones!! 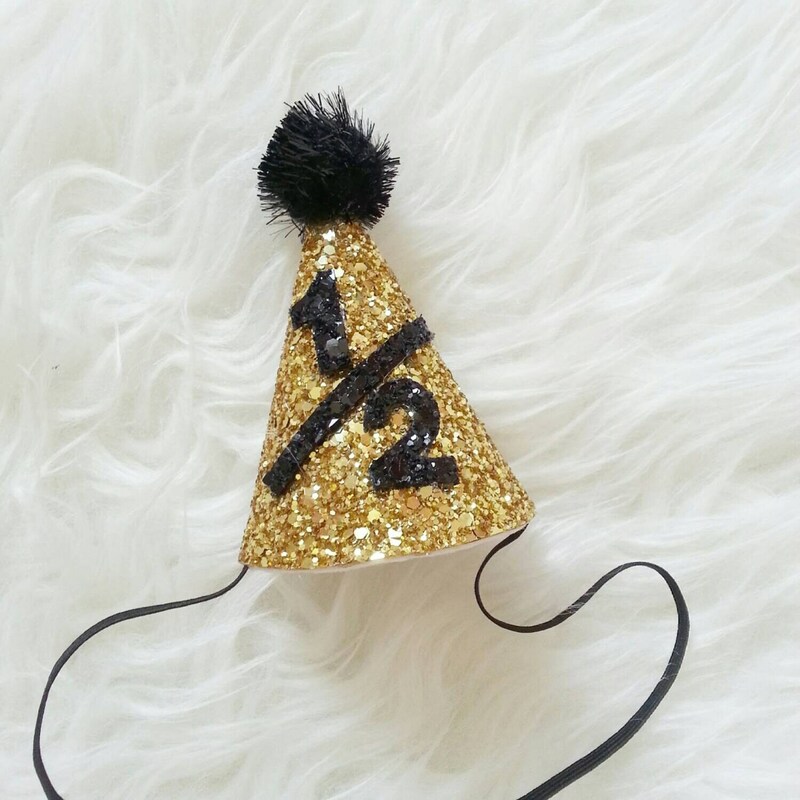 The party hat was amazing. Perfect fit and very well made. Loved it, looked so adorable on my nephew.